Petersburg’s school board will be searching for a new superintendent again this year. The superintendent of the school district has resigned after six months on the job. Lisa Stroh was hired as superintendent July 1 after visiting Petersburg as a finalist for the position. She worked through the fall but left town just before the Christmas break after asking the school board for administrative leave. The leave request was for December 16 to January 5 and the board granted it. Then on December 31, Stroh sent the board a letter of resignation stating she wanted to resign for family medical reasons. Stroh stated that she wanted the resignation effective June 30, however, the school board is proposing ending her contract now. “Her contract runs through June 30, 2015 but she will not be serving as superintendent effective immediately,” Ellis says. Ellis says the board will consider a proposed settlement and release agreement at a special meeting Thursday night. She wanted to wait until the meeting to release more details about Stroh’s contract. How the district’s budget might be affected will also be detailed at the meeting. Stroh’s salary was $122,750. Ellis says all in all the school district is in good position for a transition into new leadership. “We have an amazing school district, very strong, and I’m thinking that things will move very smoothly,” says Ellis. Part of that transition includes long time grade school principal, Erica Kludt-Painter. She’s been filling in as superintendent during Stroh’s administrative leave and with board approval, she would continue in the role through the end of the school year. Kludt-Painter agreed that the transition should be smooth even though it’s taking place within the school year. What it means for the grade school is that second grade teacher, Teri Toland, would step into Acting Principal. Kludt-Painter says Toland has her administrative credentials and is capable of taking over the job. She actually interned under Kludt-Painter as part of her administrative training. Kludt-Painter says she might consider herself for superintendent beyond the interim period but for right now she’s just looking at it as temporary move. “I guess I don’t want to speculate too far out in the future just because there’s a lot on everybody’s plate right now, so for me I think I just have to look at the present and look at the remainder of the school year and see how it goes,” Kludt-Painter says. Stroh is originally from Montana. She worked in education for three decades there and in Alaska. 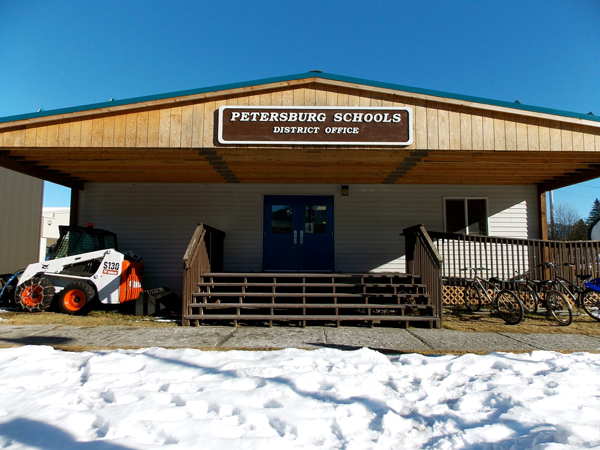 She came to Petersburg from Valdez where she broke her two-year contract after a year, citing conflicts with school board members there. Ellis says the search process for a new superintendent would begin immediately with the plan of hiring someone permanently July 1. The school board will hold a special meeting this Thursday night at 7 p.m. in the high school library to address the resignation and the transition. The meeting is open to the public.